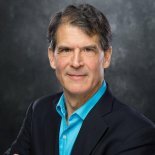 Dr. Eben Alexander discusses the connection between science and spirituality.Dr. Eben Alexander’s near-death experience years ago prompted him to rewed science to spirituality. Consciousness is a puzzle that we all share. Our interpretation of that consciousness may differ. We wrestle with parts of the human experience to reconcile them with our perception of the physical universe. Quantum experiments show that spirituality is part of this universe. Listen as Dr. Alexander joins Dr. Taz to discuss the relationship between science and spirituality. Now you can have the best healthy home and personal care products delivered to your door. Click on this link for a free $30 Mrs. Meyer’s Gift Set on your first order of $20 or more, go to Grove.co/wholehealth to claim your special offer!